Thank you to our clients who participated in the 2018 New Capital Performance Survey. 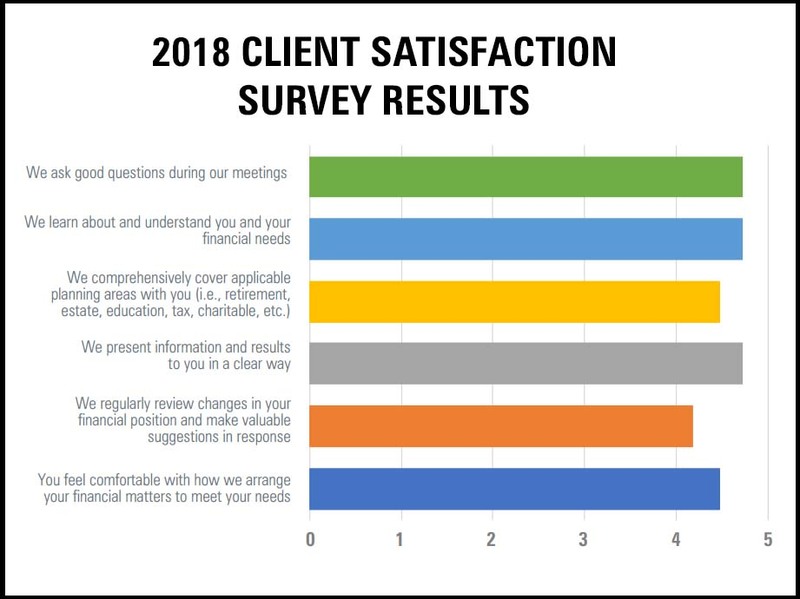 The data gathered from the responses provides us with valuable information regarding our operations, the services we provide, and the professional relationships we rely on so that we can continue to improve for you. We are greatly pleased to report that the survey indicates very high client satisfaction levels across all practice areas. We received 43 individual responses out of 140 clients that we sent to. This shows a 30% participation rate. $720 was donated to selected charities including: Air Alliance Houston, American Red Cross, Houston Area Women’s Center, Houston Food Bank, Houston Habitat for Humanity, Nature Conservancy, Save the Children, Teach for America, and WildAid. We accept these results with great appreciation for our clients. Every day, and in everything we do, we are constantly striving to exceed your expectations – from the quality of the work that we do and in our customer service. Please contact us if there is any way we can improve our services to you, or if you know someone who can benefit from what we do. We welcome and appreciate introductions to your family, friends, and colleagues so that we can serve them as well.